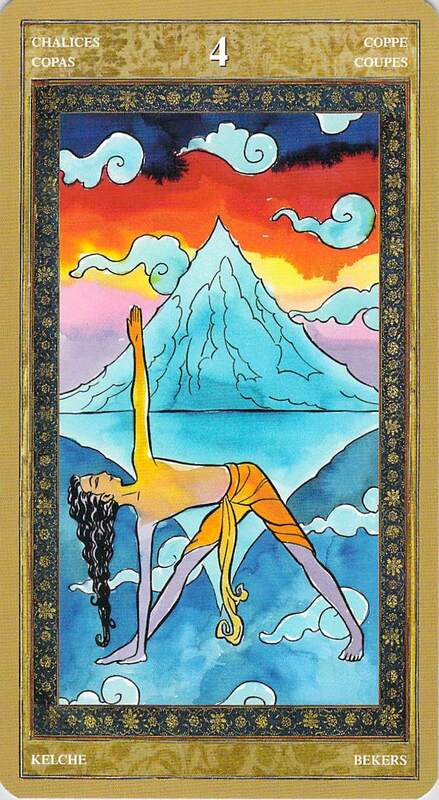 I can’t think of anything that says “solid foundation” more clearly than the three cards I pulled today from the Yoga Tarot: the Four of Pentacles, the Ace of Pentacles, and Four of Cups. These cards even form a palindrome! 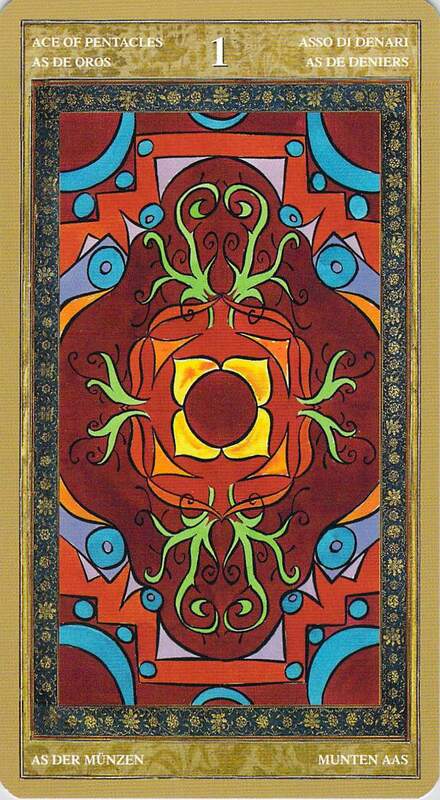 (4, 1, 4) You can see that a square forms the center of each card (on the Four of Cups, it’s formed by the mountain and its reflection). What is a solid foundation? Based on these cards, I’d say that a solid foundation has four corners: health, strength, trust, and hope. 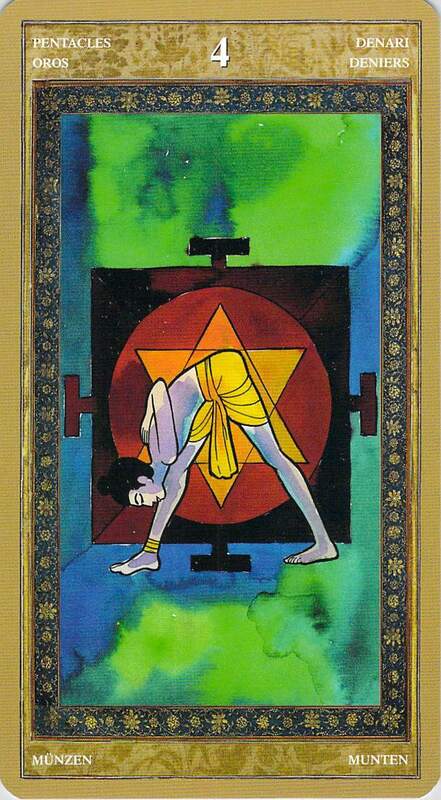 Half of the strong foundation is material — but the other half comes from a strong spirit — and an open heart (heart chakra green on the Four of Pentacles, and opening the heart in triangle pose on the Four of Cups). These four corners may form the foundation of a new relationship. They may form the foundation of a new business. Or they may form the foundation of a new way of life. In yoga, with a solid foundation, you can keep your balance. Or you can move into a new pose. One thing a solid foundation is not, however, is rigid. Part of strength is flexibility. Otherwise your nice new building may fall to pieces when the next earthquake hits. Previous Remember Your Past Life as a Rock? Definitely needed to see(hear/read) this on the foundations-front today – Thanks for your insights Bonnie. I really enjoy seeing ‘how’ and ‘what’ you see. You are welcome! I am so glad that you enjoyed this post.